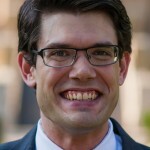 Brent Little interpreted literature via Rahner’s doctrine of grace. More than 30 members of the Karl Rahner Society met at the Marriott Indianapolis Downtown Hotel on June 9, 2018 for the society’s annual breakfast. Richard Lennan (Boston College) opened the gathering at 7:20 AM by introducing a panel of scholars who are working on their doctorates or have recently finished them: Brent Little (Sacred Heart in Fairfield), Elyse Raby (Boston College), and Michael Rubbelke (Notre Dame). Brent Little discussed Shusaku Endo’s novel “Deep River,” describing it as an expression of grace in the symbolic form of fiction (as distinct from grace in the ecclesial context). 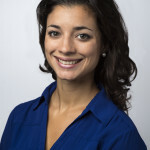 In 2015, Little had defended a dissertation at Loyola University Chicago entitled “Uncertainty and Faith: The Dynamics of Belief in Theology and Literature,” which relied on Rahner’s theology of grace and anthropology. 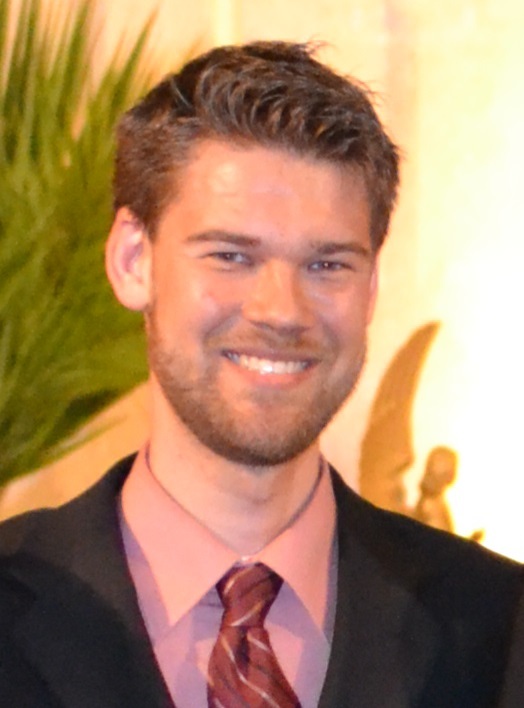 Michael Rubbelke defended his dissertation in 2018. Elyse Raby applied Rahner’s theology of the Realsymbol to the question of gender identity. If a Realsymbol is the outer expression of a metaphysical reality that gradually seeks to become itself, she said, then the concept can enrich the contemporary discussion (which often defines gender simplistically as something assigned at birth). Raby warned against a mind-body dualism that subordinates the mind and spirit to the body. 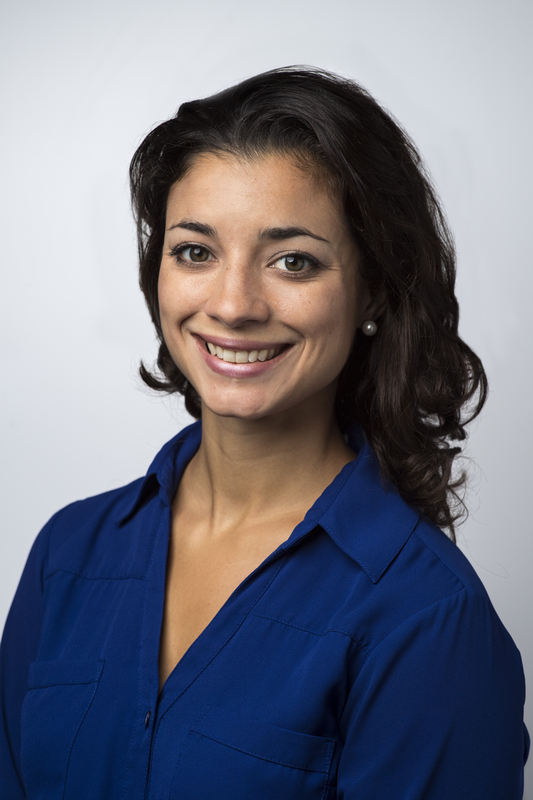 Elyse Raby is working on Rahner’s theology of the body. After the panel’s presentation and a brief discussion by society members, Richard Penaskovic (Auburn University) nominated Brandon Petersen (University of Utah) to serve on the KRS Steering Committee. Petersen accepted the nomination and was unanimously elected to a three-year term, replacing Peter Joseph Fritz (Holy Cross). 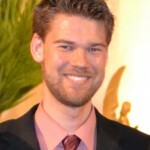 Michael Canaris (Loyola Chicago), who had completed one three-year term, also accepted nomination and was elected for a second term. Fritz had recently returned from a sabbatical in Germany. He described a celebration in Munich that he had attended on the completion of the 32-volume series of Rahner’s Sämtliche Werke. Members expressed a desire to see in English the critical introductions to each volume. Richard Lennan concluded the breakfast by reminding KRS members about the CTSA convention in Pittsburgh, June 6-9, 2019. The convention theme is “Another World is Possible: Violence, Resistance and Transformation.” Based on that theme, said Lennan, the KRS would develop a call for papers to the CTSA’s Rahner consultation. 25 members of the Catholic Theological Society of America attended the Karl Rahner Society breakfast on Saturday, June 10, 2017, at the Hyatt Regency Hotel in Albuquerque. Richard Lennan (Boston College), the Coordinator of the KRS Steering Committee, convened the session at 7:15 AM and welcomed the members. He invited Denis Edwards (Australian Catholic University) to lead the group in prayer, and together the members read portions of Rahner’s essay “The Festival of the Future of the World” (Theological Investigations 7) and “God Who Is to Come” (from Encounters with Silence). Breakfast participants discussed Peter Fritz’s book. Robert Masson (Marquette University) highlighted what Fritz called the “counter-subjective character” of Karl Rahner’s Theological Aesthetics. The word subjectivism suggests a preoccupation with the limited capacity of the knower. An extreme form of such a preoccupation denies the human capacity to know God, said Masson, and “closes off any possibility for God’s self-manifestation.” Fritz identified subjectivism with the philosophies influenced by Immanuel Kant. Masson admired Fritz’s analysis, which showed that Rahner enlisted Heidegger as an ally in his rejection of subjectivism. By rejecting Kantian subjectivity, Rahner remained open to God’s self-communication. At the same time, however, both Masson and Fischer criticized Fritz’s blunt characterization of Rahner as “breaking” with Heidegger. In the analysis of Fritz, Heidegger advocated an “apriorism of finitude” that denied human access to the infinite God. Rahner’s metaphysics of human knowledge, by contrast, showed that sensation, interpreted by the imagination, in fact opens the human being to the infinite. Masson and Fischer, however, doubted the wisdom of simply pitting Rahner against Heidegger. The one was a Catholic theologian, the other a philosopher, said Fischer, and that clarifies the difference between Rahner’s infinite God and the finite being of Heidegger. At least the explicit motive of Heidegger was always to bring something “elusive” to thought, said Masson, rather than to prescribe human limits a priori. Following the conversation about Karl Rahner’s Theological Aesthetics, the breakfast participants discussed the theme of the 2018 CTSA convention in Indianapolis with its theme of “Grace at Work in the World.” The members brainstormed possible topics for next year’s Karl Rahner consultation. 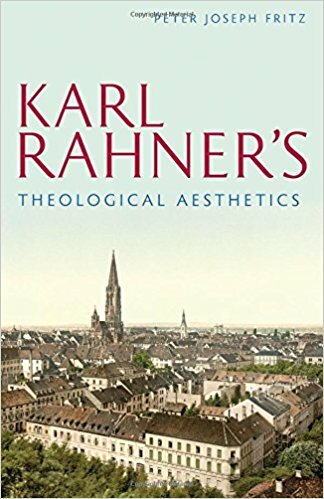 Stephan Weber of the Herder Press announced that the final volume in Rahner’s Sämtliche Werke would be published to coincide with the 114th birthday of Rahner on March 5, 2018. The meeting adjourned at 8:30. Richard Lennan (Boston College School of Theology and Ministry) was elected Coordinator of the Karl Rahner Society Steering Committee at the society’s annual breakfast meeting, which took place on June 11 at the Caribe Hilton in San Juan. Lennan has completed a three-year term on the Steering Committee and will serve as Coordinator for the next three years. Outgoing Coordinator Mark F. Fischer (St. John’s Seminary, Camarillo) welcomed 32 members of the society to the breakfast meeting at 7:15 AM. He introduced the two speakers scheduled to present their papers at the afternoon’s Rahner Consultation, Matthew R. Petrusek (Loyola Marymount University) and Paul D. Murray (University of Durham). Fischer then gave a membership report, saying that there are currently 47 members in the KRS. 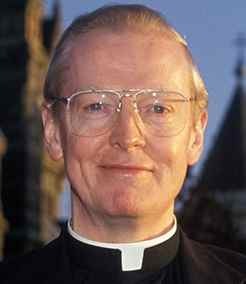 Next, Leo J. O’Donovan, SJ (Georgetown University) led participants in a prayer and remembrance of Rahner. He included a text from the President of Georgetown on the award to Rahner in 1974 of the Degree of Doctor of Laws, and commented on a photo of Rahner and a woodcut of the crucifixion by Georges Rouault. He concluded with a passage from Rahner’s book of prayers, Encounters with Silence. Dr. Stephan Weber, an editor at Herder Verlag who is responsible for Rahner’s Sämtliche Werke, read to participants a Welcome Address from Karl Cardinal Lehmann of the Karl-Rahner-Stiftung in Munich. Weber reported that a French version of the collected works is forthcoming and that an English edition is desirable. Following that, Richard Lennan and Ernesto Valiente (Boston College School of Theology and Ministry) led the participants in a reflection on Rahner’s understanding of popular piety. Lennan summarized Rahner’s 1979 article on “The Relation between Theology and Popular Religion” (Theo. Inv. 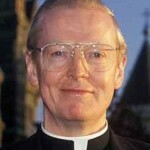 22: 140-147) and Valiente described the relation between Theology and Popular Religion in Puerto Rico and the Caribbean. Fischer then nominated KRS Steering Committee members Lennan and Nancy Dallavalle (Fairfield University), both of whom have completed three-year terms on the committee, to additional three-year terms. The members elected them by voice vote. 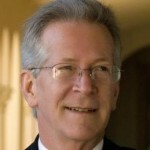 Fischer, who has completed a three-year term as Steering Committee Coordinator, then nominated Lennan to succeed him as Coordinator, and Lennan was elected. 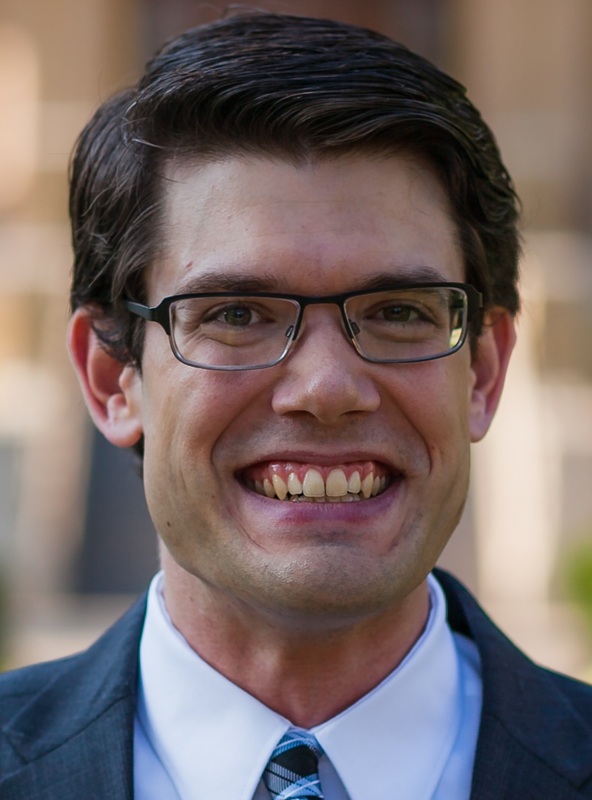 As editor of the Rahner Papers published in Philosophy and Theology, Richard Penaskovic (Auburn University) invited members of the KRS to volunteer to be readers of papers submitted for publication, and several indicated a willingness to help. Next year’s CTSA theme is “Ecology: Theological Investigations.” Breakfast participants were invited to brainstorm about papers for the Rahner Consultation that would be most helpful to KRS members. The following were suggested before the meeting adjourned at 8:45. Incarnation and ecology. The Word became flesh so that we might become enfleshed spirits who are “of” the earth and responsible for it. Resurrection. It is not just the one-time experience of Jesus, but the hope of every Christian for an ever-more-perfect communion with God. Grace. Is the concept of grace in Rahner’s theology broad enough to express God’s concern for all of creation? Evolution. Rahner spoke of Jesus Christ from an evolutionary viewpoint. How does Rahner’s concept of evolution compare to that of Teilhard de Chardin and Darwin? Hominisation. How is Rahner’s book on the process by which human beings reach their goal in Christ relevant to the theme of ecology? Trinity. Catherine LaCugna advanced Rahner’s theology of the Trinity by emphasizing the diversity among the Persons within the godhead as a divine ecology. Resource. Michael Petty’s A Faith that Loves the Earth is a resource for the theme of Rahner and ecology. So is the theology of Dennis Edwards. Creation. Rahner’s concept of the self-communication of God is relevant to a Christian view of ecology, as is his theology of symbol. The 2015 Karl Rahner breakfast took place on June 13 at the Hyatt Regency Hotel in Milwaukee as part of the annual convention of the Catholic Theological Society of America. The Breakfast Agenda 2015 started with an opening prayer and remembrance of Rahner by Jerry T. Farmer (Xavier University of Louisiana). It also included an appreciation by Peter J. Fritz (College of the Holy Cross) of James C. Bacik’s Humble Confidence: Spiritual and Pastoral Guidance from Karl Rahner (Liturgical Press, 2014). Coordinator Mark F. Fischer (St. John’s Seminary, Camarillo) announced that Steering Committee member Paulette Skiba, BVM (Clarke University) has completed her second three-year term. He thanked Skiba for her many contributions to the society, for which she has served as membership coordinator. 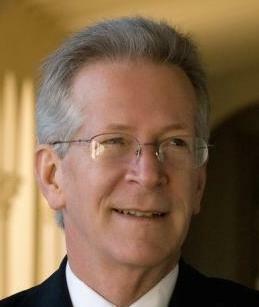 Peter J. Fritz had also completed his first three-year term. Fischer nominated him for a second term and he was elected by acclamation. Coordinator emerita Heidi Russell nominated Michael M. Canaris (Loyola University Chicago) to serve on the committee, and the 42 assembled members elected him by acclamation. At the breakfast, Fischer offered his reflections on “Soteriologies of Rahner and Balthasar.” He described the difference between the two understandings of salvation by Jesus Christ. 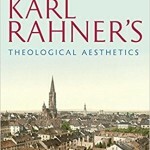 Rahner was critical of traditional soteriology, Fischer argued, including the popular theories of satisfaction and vicarious atonement. Rahner feared that these theories could be misunderstood as a ransom paid to the devil, or as a depiction (however inadequate) of God’s justice, or as a demand for reparation as the condition for forgiveness. These misinterpretations of the satisfaction theory are so popular, and Rahner’s critique so radical, that the critique almost seems to contradict the sensus fidelium. By contrast, Hans Urs von Balthasar strongly emphasized the vicarious atonement. His soteriology reflected what Rahner called the “official Christology” of the Church, and in that sense, may seem to better reflect the sensus fidelium. Balthasar’s soteriology expressed the view that Christ was sent as a sacrifice to repair the gap between humanity and God. In affirming this, Balthasar posited a difference between the Trinity as it appeared in history (the economic Trinity) and the Trinity in itself (the immanent Trinity). Rahner had equated the two, and so has (in Fischer’s view) the superior insight. Partisans of Rahner and Balthasar tend to heighten their differences, said Fischer, who prefers to see convergences. His reflections showed that both theologians, however different, held that salvation stems from the Trinitarian God working with and through human beings. The 2014 Karl Rahner Breakfast took place on June 7, 2014 in the Manchester Grand Hyatt in San Diego. The 2015 breakfast will take place on June 13 at the Hyatt Regency Milwaukee. Last year’s breakfast began with a presentation by Brandon Peterson, a recent graduate of the University of Notre Dame who began teaching in the fall of 2014 at the University of Utah. Peterson has written an essay about “Early Rahner: Reconsidering the Value of ‘E latere Christi.’” From the Side of Christ was the title of Rahner’s dissertation of 1936, which was not published until 1999 (in the Sämtliche Werke edition of Rahner’s publications). Peterson showed that “E latere Christi” anticipates many of Rahner’s later themes, such as the theology of the symbol. Peterson also presented an overview of Volume 3 of the Sämtliche Werke, a volume entitled Spiritualität und Theologie der Kirchenväter. Although Karl Rahner is not often associated with the study of early Christian theology, Peterson said, the first fifteen or so years of his theological career were marked by a prolonged and intense engagement with the Church Fathers. In addition to “E later Christi,” the third volume of Rahner’s Sämtliche Werke comprises several of his significant writings from this period. Included are Rahner’s translation and expansion of a French textbook on patristic spirituality (1939), and several articles and book reviews, along with detailed introductions from Karl Neufeld and Andreas Batlogg. O’Donovan discussed Rahner’s doctrine of God, which famously argued (in O’Donovan’s words) that “Christian theology has basically to do not with many, hitherto unknown ‘mysteries’ but rather with the one, all-embracing mystery of God’s self-communication in the two modes of incarnation and grace.” The theme of the unity that differentiates also has anthropological, ecclesiological, and aesthetic dimensions, all of which O’Donovan has sketched in a document entitled Unity that Differentiates. The breakfast meeting concluded with a vote by assembled members on a proposal by Steering Committee member Paulette Skiba, BVM (Clarke University). The proposal added to the KRS By-Laws a provision for a category of Emeritus Membership. See KRS By-Law, Article 3.